Wallowa County Farmers' Market: Spring Planting Festival, May 25th! 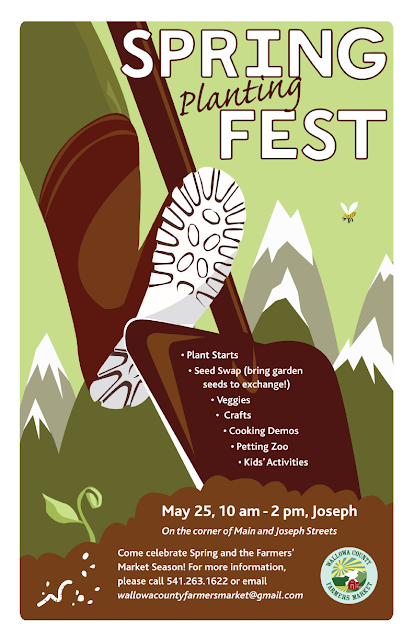 Spring Planting Festival, May 25th! We're kicking off the market season with our annual Spring Planting Festival! Join us in Joseph on Saturday, May 25th from 10 a.m.—2 p.m. for a day full of plant starts, fresh produce, baby animals, and the market community. We'll also be listening to the music of Wild Honey! Find us at the corner of Joseph and Main streets. Check out our full calendar for 2013, and make sure to join us in Enterprise on Thursday evenings starting June 6.